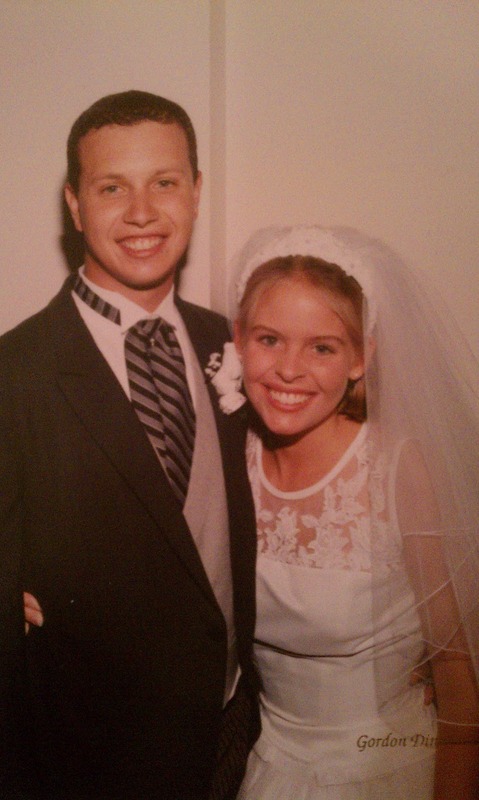 this year we will celebrate 15 years of marital bliss. Wow-zers, 15 years! you must be thinking ~ how old are you??? you guys still look like babies! Well, thank you very much. We still feel like babies, and time flies when you’re married, lemme tell ya. 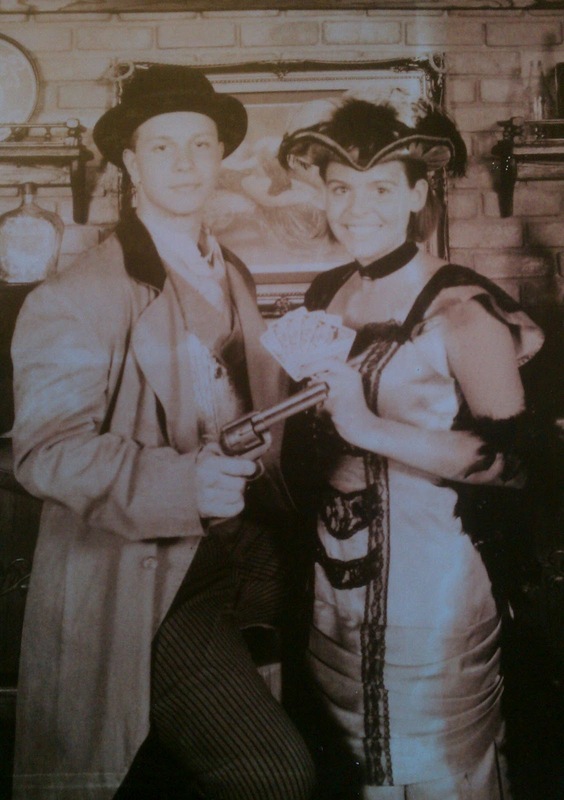 we were basically babies when we got married. He 22/Me 20 young years of age… and yes, if you can do the math, or have a calculator handy, we will be turning 37/35 this April/May. just a heads up for our happy birthday! I was 18 years old, when I saw Adam for the first time. Working as a CSR (customer service rep. aka – cashier) at Mardel ~ a Christian bookstore in Oklahoma. He strolled into the bookstore in suit ~ totally overdressed and heavily cologned for his interview. I thought he was mysterious and stared at people a lot. He was also wearing a leather jacket over his suit, and had a “I’m too cool” walk and look about him, which I thought was funny. So, the first reaction I had to him was laughter. I (Adam) was 20 years old, when I saw Leslie for the first time. I came in to interview at Mardel and saw her at the register. I thought she was a little snobby, but sweet. I could tell she was curious about me… She looked cute in her gray tennis dress, had a beautiful smile, and a laugh that could be heard around Mardel… and the world. I loved her. Our manager at Mardel, “Tall Paul” (the nickname my friend/co-worker Stephanie and I affectionately gave him, b/c his name was Paul… and he was tall) was so impressed with Adam… and his suit… and his cologne… he hired him on the spot. little did i know, that hire would change my life… forever. 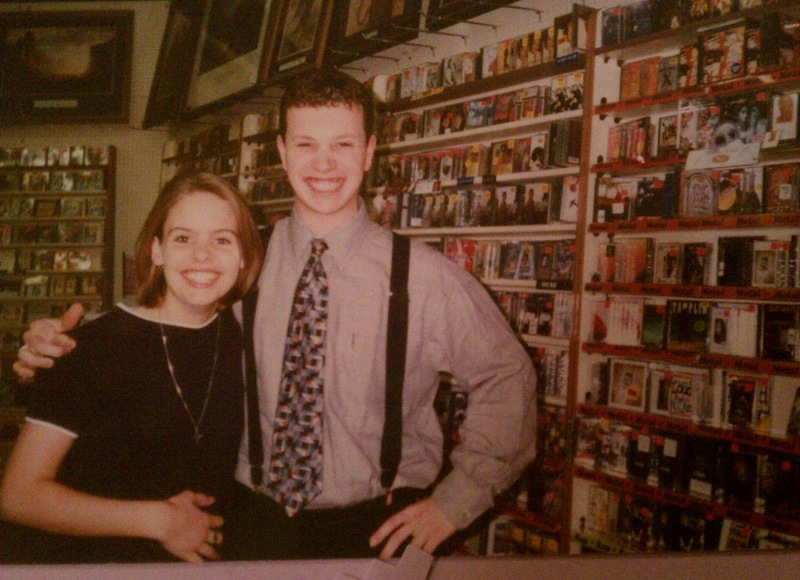 Within the next week, Adam was managing the music department at Mardel, overseeing the sales of cassette tapes and cd’s (which were the hot new thing), and my friend Stephanie-the other employee of the music department. The 3 of us became a hilarious trio, entertaining the customers, our co-workers and each other, while becoming really good friends along the way. Adam and Stephanie always made up reasons to come and visit me at the register in between the lines of customers I faithfully served and sold Christian “stuff” to. And I always found reasons to visit the music department, chat with my friend Steph, and check out Adam, the hot and funny “new guy”. all this time, my heart was on hold because I was falling for this guy who already had a girlfriend. ouch. 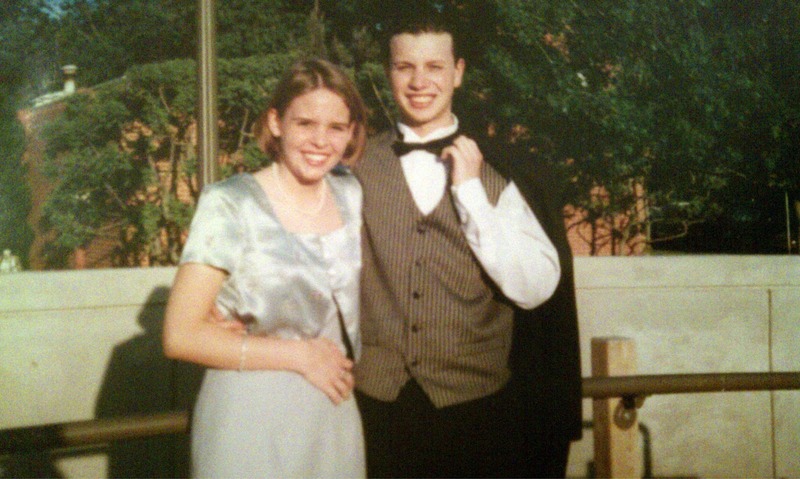 we started dating a few months later, in April of 1996. Adam came to one of my choir concerts at the University of Oklahoma. My family, Steph, and other friends were there too. 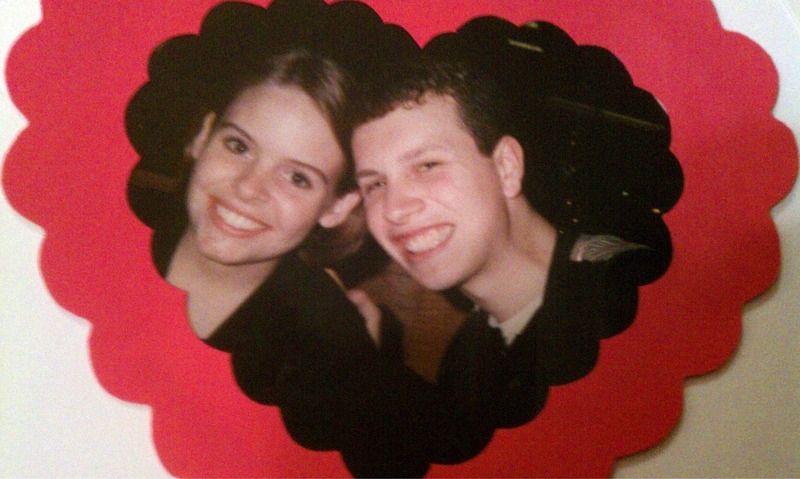 Later that night, Steph and I went back to my dorm room and their was a red rose on my door. I looked at her with the question in my eyes, she shook her head “yes”, and I knew. I started crying, freaking out with giddy girly excitement, and listened to all of the details from Steph about how Adam has really been in love with me all along, since he had already told her. then, I called him… thanked him for the rose and we talked for 4 hours. 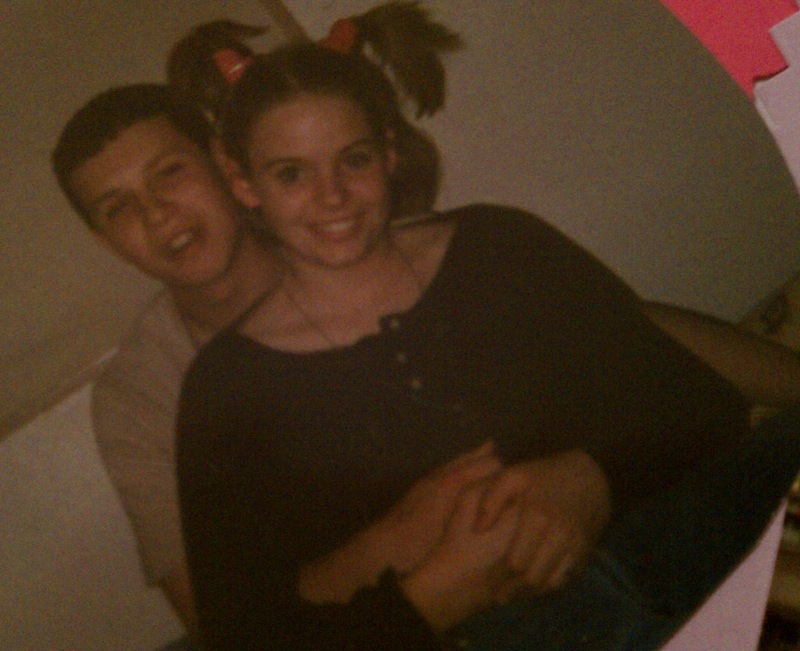 Our dating story began ~ we dated for 8 months and were engaged on New Years Eve, 1996. We spent that whole day together. It began with breakfast, a scavenger hunt of the memories we shared on campus and at Mardel, and then lunch. Then he took me to “Opening Night” a big NYE celebration in downtown Oklahoma City. We went to dinner and then to see the musical “Sound of Music”. About half way thru, I saw our parents and siblings in the auditorium (and after wondering for a moment why they were stalking us, I got the feeling something was going to happen). Then Adam whisked me away to another part of the celebration. We went to listen to a concert by Edgar Cruz, an uber talented guitar player. In the middle of the concert, Edgar stopped playing, handed Adam the mic and he proposed to me… in front of 300 people. After getting over my initial shock and the whirlwind of the evening, I said Yes. The evening didn’t end there. We were then whisked away by golf cart to be interviewed by Fox news. They did a short story on our engagement, and the way Adam worked it into the Edgar Cruz concert. We were now famous. 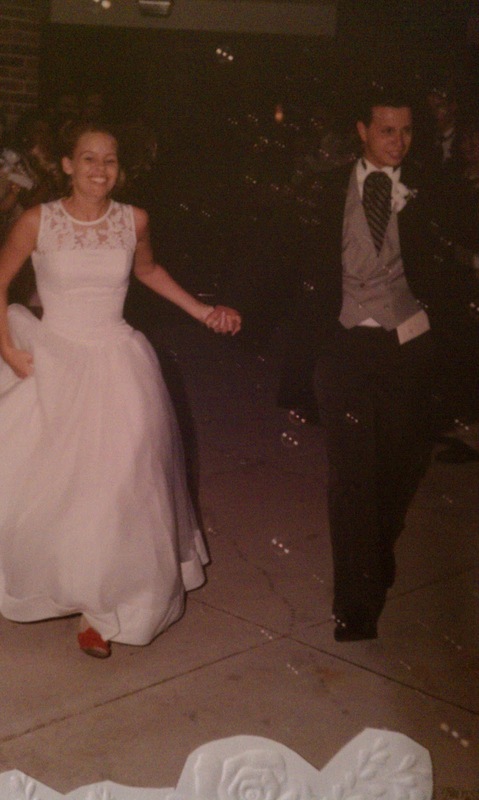 Eight months later, on August 9th, 1997 we were married. And that is when the work began. It’s a lot of “work” to plan an engagement like Adam’s proposal, and a lot of “work” to plan a wedding with all of the intricate details. But the real work was just beginning. We have a love story that sometimes feels too good to be true. But it is true. It’s not always pretty, sometimes it’s ugly. It’s not filled with rose petals and champagne, but it is filled with lots of coffee and lots of laughter. It’s the biggest investment we’ve ever made, and it’s worth it. Cute! All these years of our friendship and I never knew the “whole story” of you and Adam! Now I know! What a heartfelt message! I absolutely enjoyed reading your real love story.